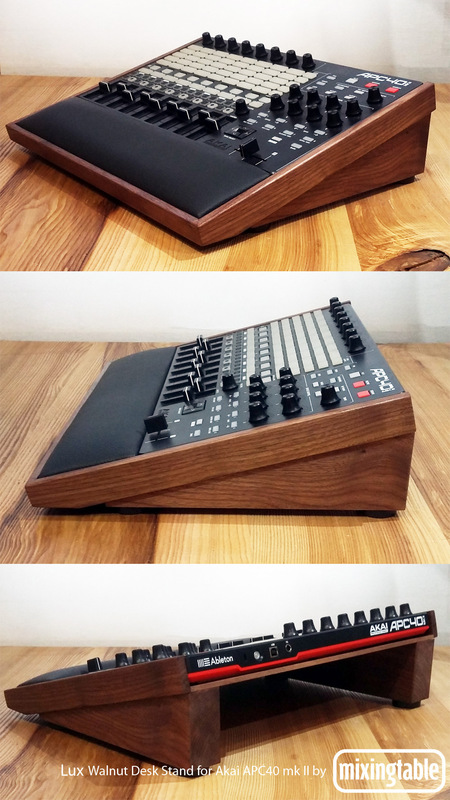 APC 40 mk II Lux Walnut Desk Stand is a high end desk stand for Akai’s APC40 MkII controller. Beautifully crafted from solid Walnut and hand finished in natural oil, with a slant of 15 degrees and a generous black vinyl padded wrist rest. 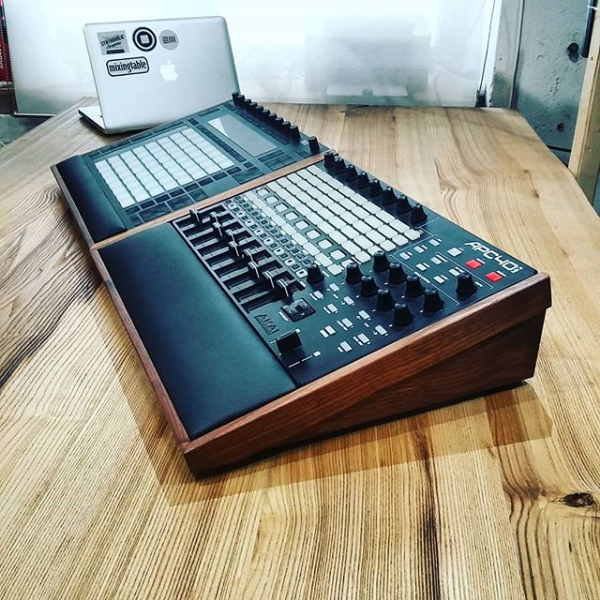 This stand matches our Push2 Lux Desk Stand and together they form a stunning set. We make everything to order. Estimated shipping date is 28 days from payment.